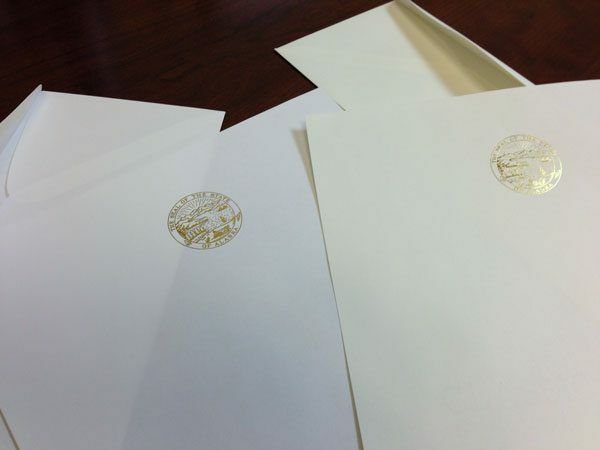 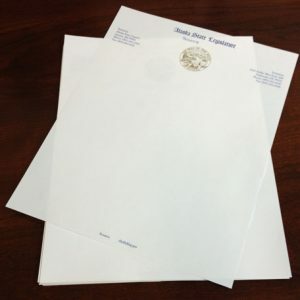 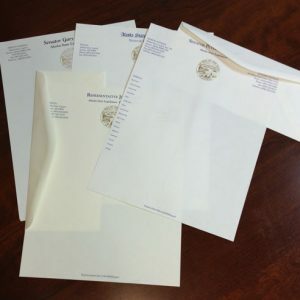 Blank matching sheets for your letterhead set, with or without the State of Alaska seal in gold foil. 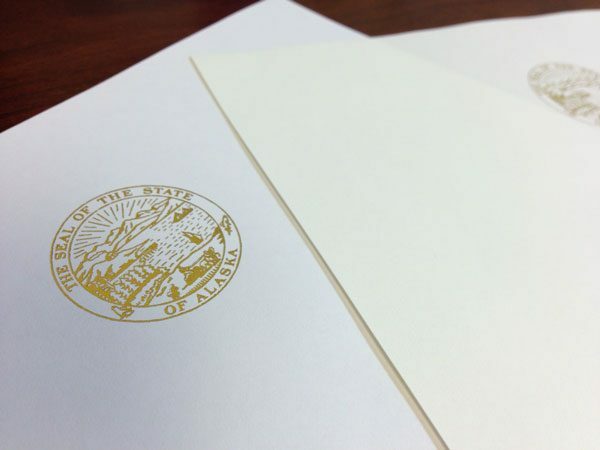 Unprinted 8.5×11-inch letterhead sheet, the State of Alaska seal can be included with gold foil. 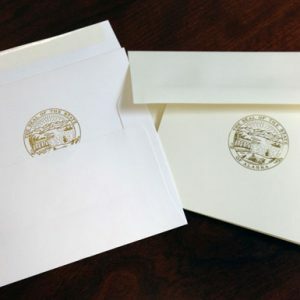 Available in white (Classic Crest Avon Brilliant White Writing) or ivory (Classic Crest Natural White Writing) stock to match your stationery set.